Chocolaty gifts are a must at Christmas, so this little stocking filler will fit right in. 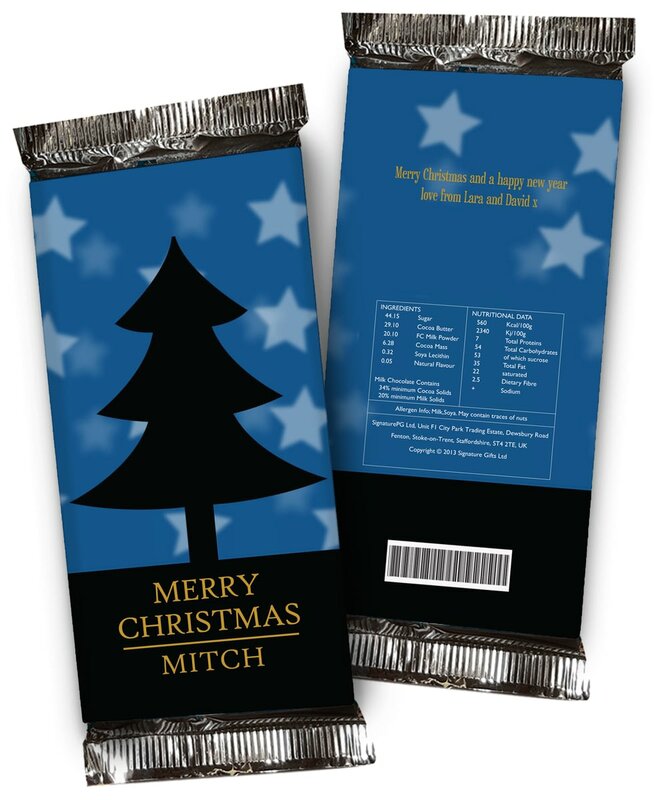 With their name incorporated into this festive, tree scene they'll know this bar is especially for them. Chocolaty gifts are a must at Christmas, so this little stocking filler will get the seal of approval. Let cheeky Chilli and Bubble help say 'Merry Christmas' to someone special.